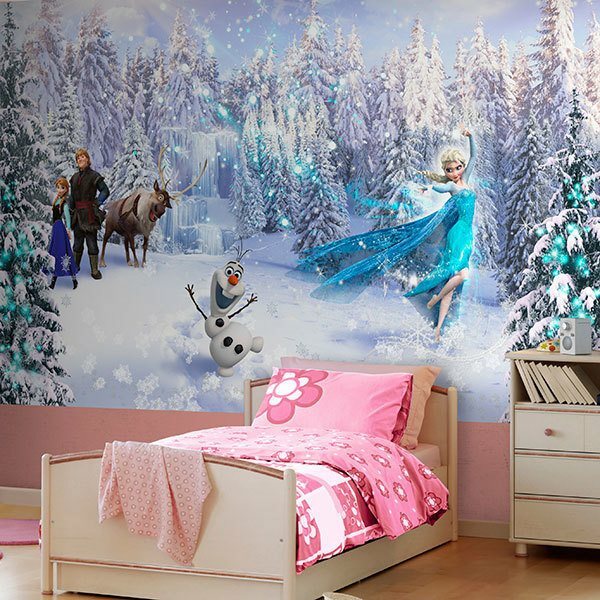 Wall mural Frozen and his friends. 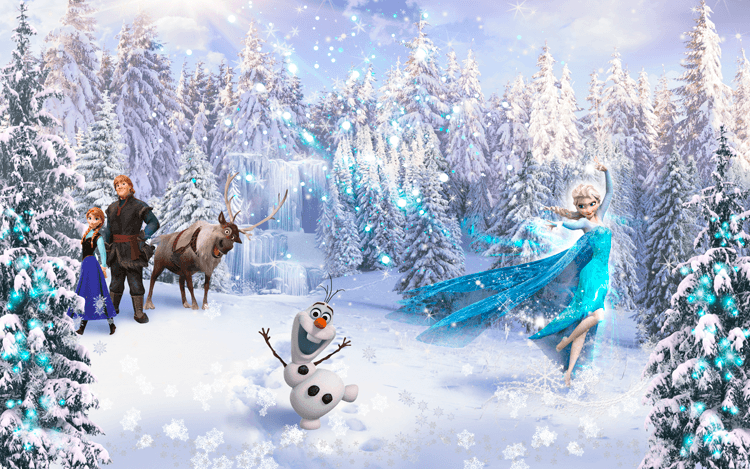 A brave young princess settles down with a mountaineer to find her sister, whose icy powers have trapped her kingdom in the eternal winter. An ideal design for a children's room. With the main characters of this great Disney production.